I tend toward using candy palettes so I was pleased that I was able to drain the color out of this one. 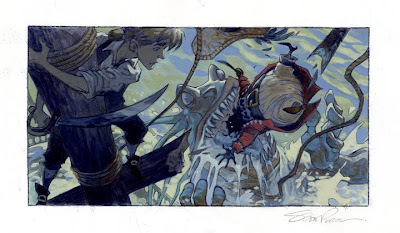 I have a few more of these little production paintings. 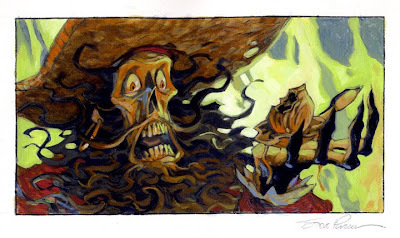 Submitted for your approval - one random piratey concept painting depicting a moment in a speculative piratey piece of potential film entertainment - circa AD 2000. Stop me if I'm repeating any of these. Something I've been working on. 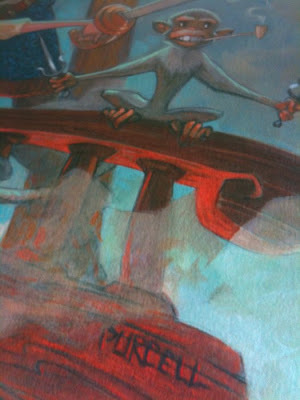 Should be able to reveal in a couple of weeks with a little journal post of the process. I'm writing this perched on a box of Stuckey's Pecan Log Rolls. 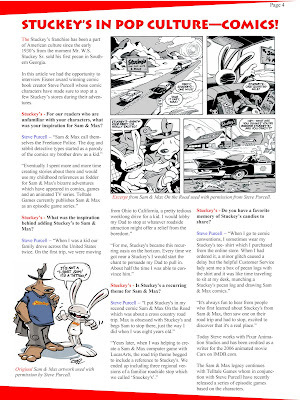 YES, Stuckey's is a real place and has paid tribute to Sam & Max in their corporate newsletter. 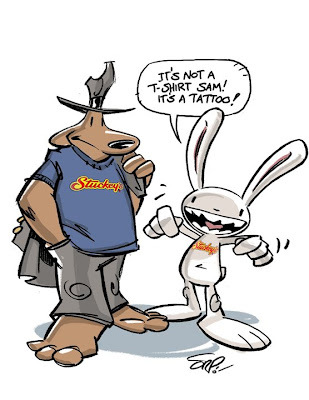 In the first of a series of articles on Stuckey's contribution to pop culture they have called out Sam & Max for their multiple interactions with the iconic roadside America gas and gift shop. Whew! And I thought they were calling to sue the crap out of me! 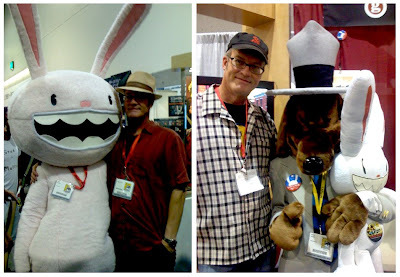 ComicCon always makes me think I should be making a new comic book. Let's see if I can keep that pilot lit for awhile. 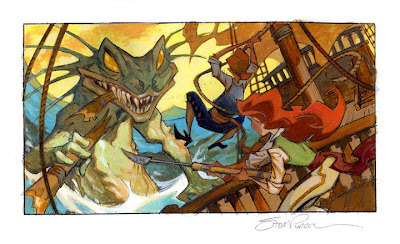 Will post some new artwork soon.